Oregano is another one of those perennial plants that can get overwhelming in the herb garden. 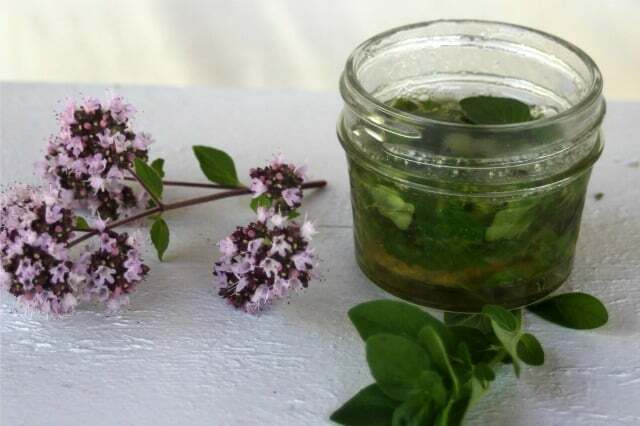 Take advantage of that herbal abundance by learning how to make oregano infused honey. 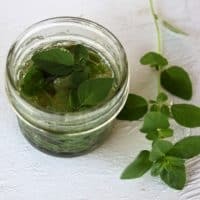 This is a quick project that can reap huge rewards and can be done with dried oregano if you don't happen to have any growing or can't find it fresh. Like most herbs, for optimum flavor, harvest oregano before it flowers. Harvesting once it flowers can sometimes result in loss of flavor or even a little bitterness. Bees and other pollinators love the flowers, however; so they're not wasted at all. Harvest early in the day after the dew has dried but before the sun gets too high. In short, infused honey can be used as a replacement for plain honey. This infused honey is going to have the oregano flavor however and it might not be as pleasant of a flavor in that homemade baklava. Oregano has many medicinal benefits as well. Be sure to throw a dollop of oregano infused honey in sweet and sour dishes to give everyone at home a little immune-system boost during col and flu season. Dissolve a tablespoon in hot water to help soothe upset stomachs and even ease a headache. 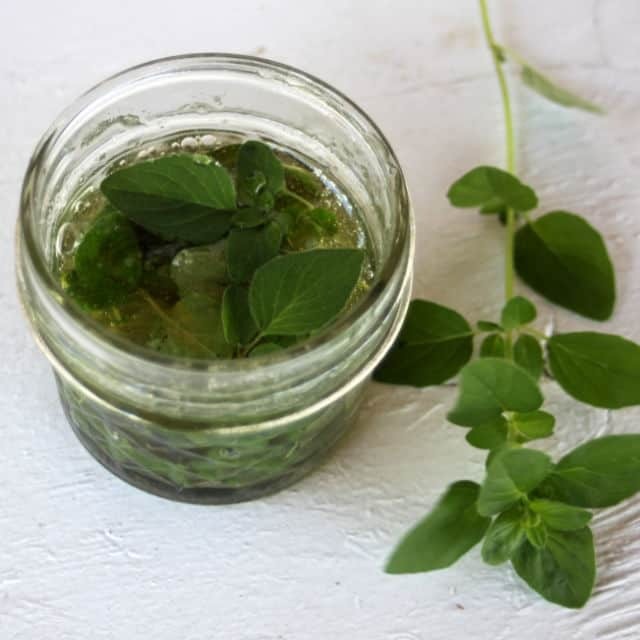 Before summer is over harvest some oregano, either homegrown or from a local source, and start infusing some honey for a delightful and medicinal ingredient to stock in your pantry. 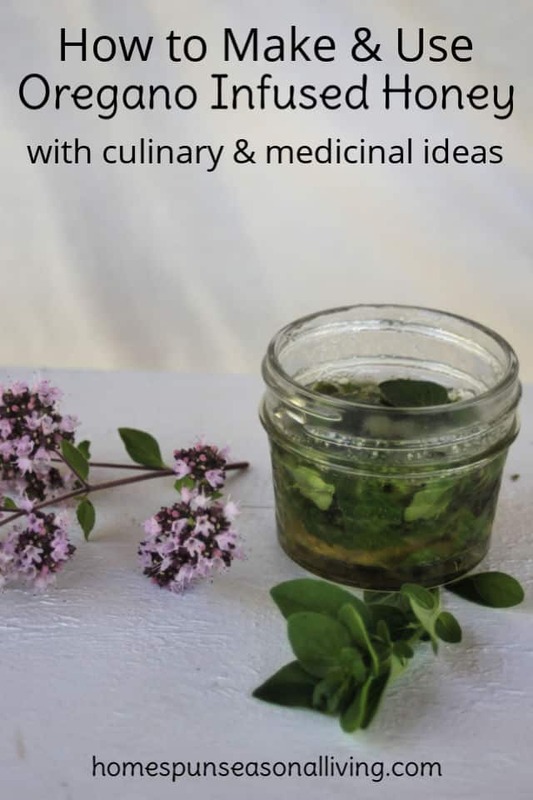 Learn how to make oregano infused honey as a way to save the herb for culinary and medicinal uses later. 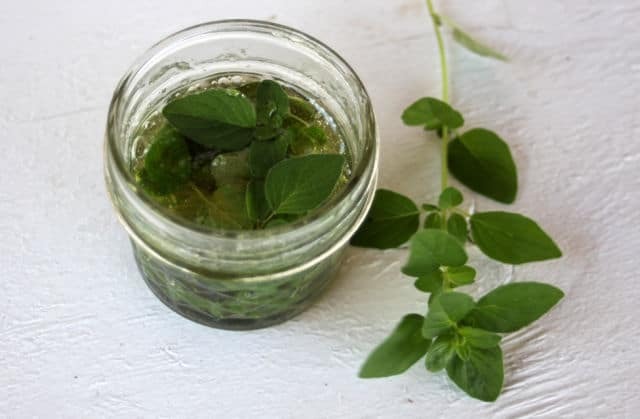 Fill a jar half full of fresh oregano leaves (1/4 full if using dried oregano). Cover the herbs and fill the jar to within 1″ of the top with liquid honey. Give it a good stir, removing any air bubbles from the jar. Put a tight fitting lid on the jar and place in a sunny window for a month. Turn the jar over now and then to keep mixing the honey and oregano together. At the end of the month strain the oregano from the honey and store the honey in an airtight jar. 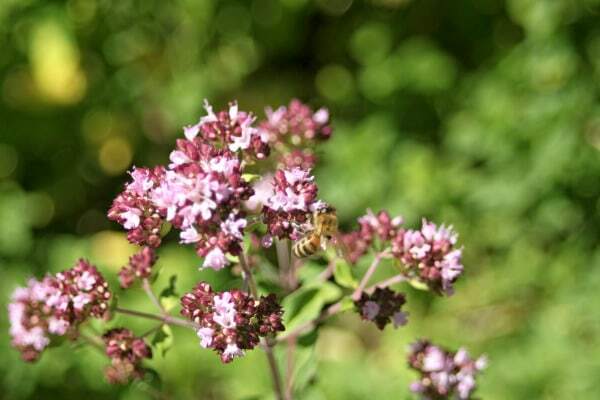 Oregano and honey are both antimicrobial. Your recipe is one whopper of an immune booster! Thanks for the idea!